Rhinosinusitis (sinusitis) is a relatively common condition, characterised by inflammation of the mucosal linings of the nasal passage and paranasal sinuses. This article will focus on chronic rhinosinusitis (CRS), which refers to symptoms lasting longer than 12 weeks. Its pathophysiology is complex, involving interactions between the dysfunctional nasal mucosa and environmental factors. In this article, we shall look at the risk factors, clinical features and management of chronic rhinosinusitis. Rhinoscopy will reveal generalised mucosal swelling, mucopurulent (green/yellow) discharge, and/or polyps; nasal polyps are overgrowths of swollen mucosa which prolapse into the airway or sinuses. Recurrent acute rhinosinusitis – consider if there is resolution of symptoms between episodes. Malignancy – consider in cases of unilateral nasal polyposis, the presence of bloodstained discharge, or eye signs. Foreign bodies – more common in children, and typically presents with nasal obstruction and discoloured unilateral discharge. Nasal polyps (most commonly seen around the middle meatus). 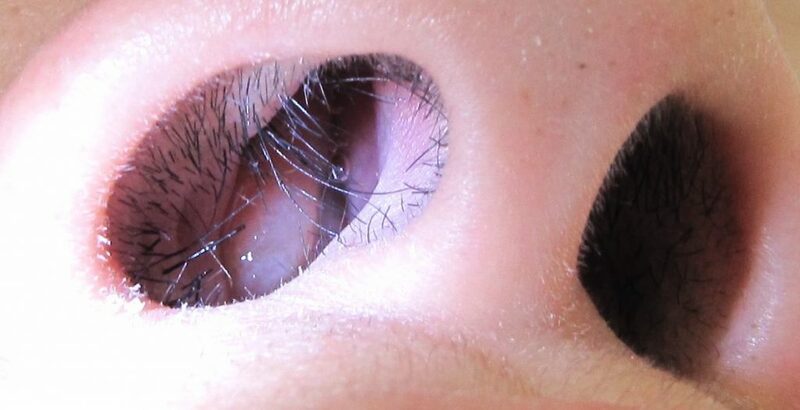 Occasionally, severe nasal polyps can be observed directly by anterior rhinoscopy. The treatment of chronic rhinosinusitis is dependant on the severity of symptoms. This can be assessed via a severity Visual Analogue Score (VAS) score, in addition to examination of the nasal cavity. Mild disease (VAS 0-3 with no significant mucosal disease) – treated with nasal saline douching and topical steroid spray or drops. Refractory cases should be considered for surgical intervention (FESS). After surgery, it is important that topical treatments are continued. The aim of Functional Endoscopic Sinus Surgery (FESS) is to remove any polyps that have formed and open up the sinuses. This will reduce obstruction, drain any collections of mucus, and allow topical treatments to reach all areas to prevent recurrence. Complications of FESS include bleeding, infection, need for nasal packing, recurrence, injury of the orbit, and cerebrospinal fluid leak. One complication of chronic rhinosinusitis is a mucocoele – a collection of mucus in an epithelial-lined cavity. They are rare, most common in the frontal sinus, and usually present with a lump on the forehead. Long term, the mucocoele can erode bone and invade local structures such as the orbit and the brain. 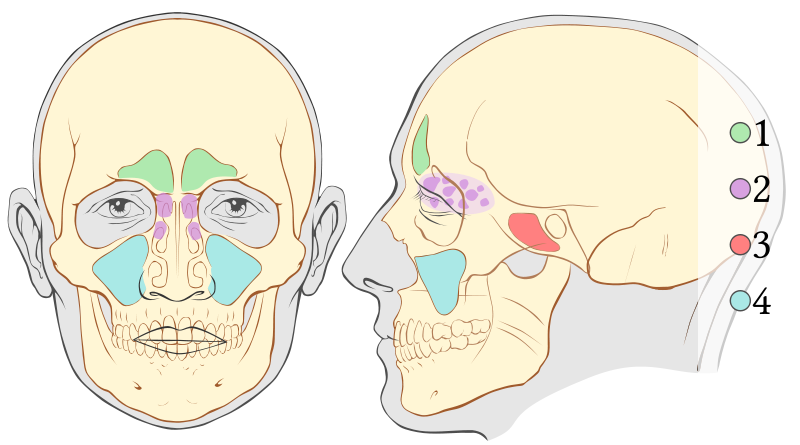 Which of the following is not one of the paranasal sinuses? Which of the following can be helpful imaging in cases of severe CRS? A common complication from CRS, what is a mucocoele?